Chandler Lewis is a graduate of the University of Washington with a degree in Political Economy. 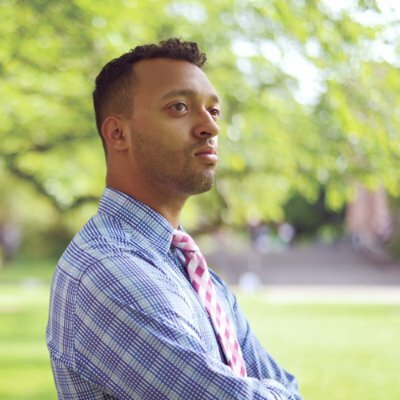 In 2012, he founded The Evergreen Project, a non-profit organization that was committed to educating college-aged individuals about intimate partner and relationship violence. He founded the Evergreen Project after learning about the shocking statistics of dating violence on college campuses. From 2014-2016, Lewis served on the National Youth Advisory Board (NYAB) for the national youth focused non-profit organization loveisrespect, the youth arm of the National Domestic Violence Hotline and also serving on their executive board. He worked with a select group of individuals aged 14-24 from across the nation by encouraging youth empowerment and healthy relationships in their respective local communities. Lewis recently sold his share in an after-school youth sports franchise in the Greater Seattle Area where he was the Co-Owner and Territory Director as well as a certified professional tennis coach specializing in 10 & Under junior tennis instruction. Growing up with an artist for a father, and a mother who loved the arts, Lewis grew up with a love for art and the arts. "It's been so awesome to be able to bring such unique artistic opportunities to a community of people often marginalized by mainstream society. The work we are doing with some of our students is life-changing. You can see it on their face." Nicolas is a Human Resources student at the Foster School of Business, he is scheduled to graduate this Winter. A bit of local pride and a deep desire to help other led Nicolas to Circle of Friends. When he has time Nicolas enjoys playing football, basketball, and watching movies. Akarsha Gulukota is a senior working towards a B.S. in Psychology at the University of Washington. She joined the organization in September 2015 and deeply admired the positive change Circle of Friends was bringing to the community. Mental health awareness lies close to her heart and Circle of Friends offered her an opportunity to further that cause. Upon joining, she helped start the on-campus club, Circle of Friends for Mental Health UW Chapter, and assisted with various other fundraising events. Aside for Circle of Friends, Akarsha is a Research Assistant in an Autism Research Lab, a tutor, a dog-lover, and an avid runner. Chi is a senior, double majoring in Psychology and Communications, at the University of Washington. She helped with the start up of the on-campus chapter of the Circle of Friends for Mental Health in 2015. Her passion to join this organization was stirred from her long-standing stance on the inclusion and acceptance of everyone. And with that, she is determined to help the most vulnerable populations that are often times excluded, neglected, and marginalized. Alexys Gonzalez is a New England transplant and new to the Seattle area. She received her BA in Art with a concentration in Painting from Central Connecticut State University and is currently working on receiving her MA in Clinical Mental Health Counseling with a concentration in Art Therapy from Antioch University here in Seattle. As a sufferer of anxiety and depression she has used her own art as an expressive tool to self-heal and has seen first hand how beneficial it is! In hopes of helping others heal and better understand mental health issues she works with Circle of Friends to coordinate the volunteers and art classes we offer around the Seattle area. Aside from Circle of Friends Alexys believes that living a healthy life leads to having a healthy mind and enjoys creating her own art, getting out in the raw nature of the PNW, hiking, biking, practicing yoga, and taking her cat on walks. See under Board Member information. Carolyn received a BS in Early Childhood Education at the University of Maryland, and an MA in Education from the University of Washington. She is a vibrant teacher and entrepreneur, and was recently named Woman of the Year by the National Association of Professional Women in New York City for her years of dedicated service within the mental health field. She founded Circle of Friends for Mental Health in 2002, and has directed all projects and operations at Circle of Friends for the past 15 years. Al Bordero received a degree in Management and Marketing and a MBA in Saint Mary’s College. He has taught for DeVry University for the last 12 years, classes including Economics, Marketing, Management, Business and Leadership. Al Bordero has had many great opportunities in his life, from running his own company to being a Sales Director in Telecommunications at EnReach Technology. Being a Sales Director, Al Bordero was responsible for marketing and sales of EnReach’s broadband systems to telecommunication, hospitality, recreation, gambling associations and Internet Service Providers. In 1985, Al Bordero created a management and financial business consultant company to both non-profit and for-profit small businesses. Al Bordero enjoys working with small businesses in California and Washington. In his free time he loves traveling. Tiffany Yang graduated from the University of Washington with a degree in Biochemistry. In 2012, she joined Circle of Friends as a volunteer art teacher. Then she became the committee leader for fundraising events such as Stampede Over Stigma 5K Walk/Run and the Washington State First Annual Mental Health Award Ceremony Dinner. In September 2014, she joined the Board as the Secretary. In June 2016, she took on the role of CoPresident for Circle of Friends. She later transitioned into the operation branch and had been the Executive Director for Circle of Friends from August 2016 to February 2017. Felicia is an English & Political Science student at the University of Washington, as well as a proud mother of two. Although writing is get first love, painting is a very close second! Her fellow artists have become like a second family, and she can't imagine a better way to serve her community of such beautiful people. Jasmine helped as a teacher assistant for a kindergarten class. For her capstone, she also assisted ESL students in high school. She took ceramics in high school and community college. She is very interested in arts and crafts and love doing DIY projects. She loves to read and write and would love to read with kids. Circle of Friend for Mental Health UW Chapter (COFUW) was founded in 2015 with the goal to bring awareness about mental health on campus, while creating a strong community for people living with mental illness. COFUW is a Registered Student Organization (RSO) on campus where students can get involved with our events by joining our club.